The Ministry of Fisheries says there are more seafood processing facilities in the country that still have stock of beche-de-mers. 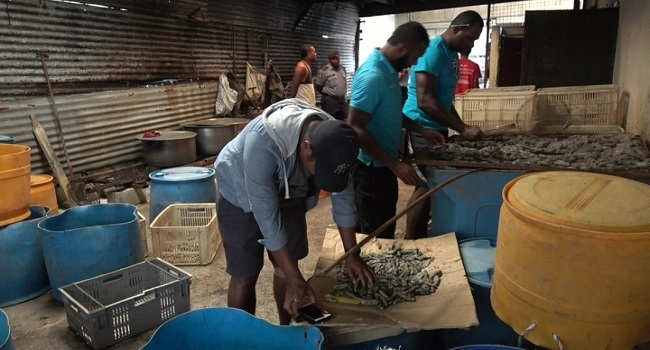 Minister responsible, Semi Koroilavesau says despite numerous warnings there are still traders who purchase and sell under sized sea cucumbers. Koroilavesau says they will be looking into these businesses once they receive tip offs. The ministry is urging Fijians particularly those living along the coastal areas to adhere to the amended regulations. Any individual found selling or harvesting beche-de-mers can be fined ten thousand dollars and any company found purchasing or selling beche-de-mers or any other banned fish species can face a penalty of up to twenty thousand dollars.